Brookes Bell is a leading international marine technical and surveying consultancy providing specialist services in areas including emergency response, casualty investigation, salvage and wreck removal operations, scientific cargo expertise, forensic engineering and expert witness services. Since 1903 led the marine and energy markets with our professional expertise. Our ground-breaking designs and interpretations of the regulations in the cruise sector are becoming increasingly relevant to the Superyachts as vessel sizes increase and regulations become more restrictive. Over the last 30 years, we have seen our skills filter into Superyacht design. Our multidisciplinary approach to identifying and maximising opportunities enables Superyacht owners to fulfil their visions and ambitions. Superyachting is a glamorous industry but it is always reassuring to know there is one company to turn to if things go wrong. 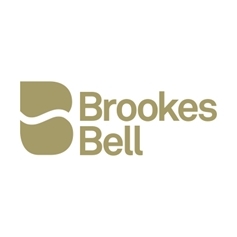 Whether a mechanical failure or grounding, flood or fire, Brookes Bell is the go-to firm when it comes to casualty investigation, forensic analysis, technical dispute resolution and expert witness skills. Focus on: Asia - Evolution or revolution? Following some confusion, it has been announced that security guards are unlikely to be considered seaferers under the MLC, though this is to be determined by flag state. On Wednesday 11 September the maritime industry gathered to discuss security at sea, with a general consensus that security should consider more than just piracy and security companies must acknowledge this.